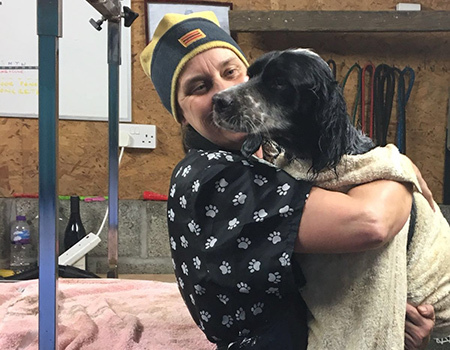 Basically, after a hard days hunting and working for you – your gundog deserves it! 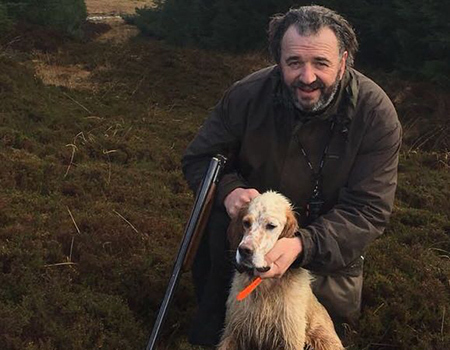 I have been hunting a team of spaniels since 2003, your gundogs will have the benefit of my knowledge and care. 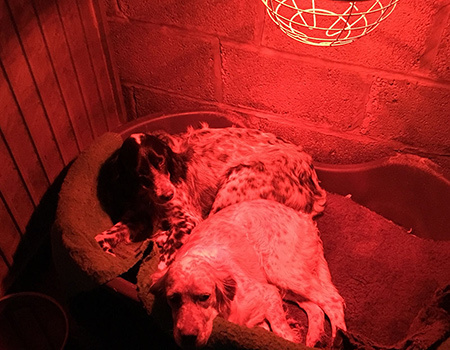 Each kennel has a heat lamp, this enables your dog to relax properly after a hard days hunting. 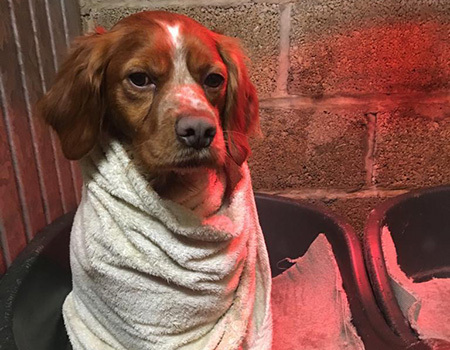 Usually, the dogs are soaking wet at the end of each day, their muscles are warm after exercise, the lamps allow the wet dog to dry without causing the dog to experience the muscle ache, stomach pain of lactic acid symptoms, after intense exercise. 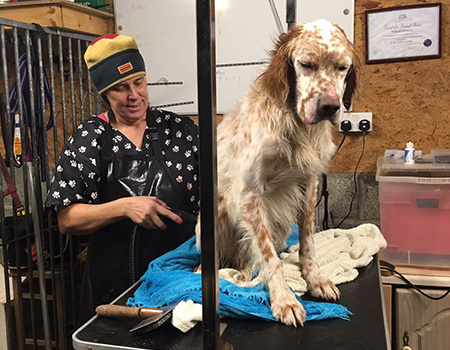 I always blow dry my gundogs after each working day, to ensure that they have no chance of lactic acid symptoms, this is available to any guest gundog. The feeding will be undertaken, if you so wish. We have the facility to serve hot food. 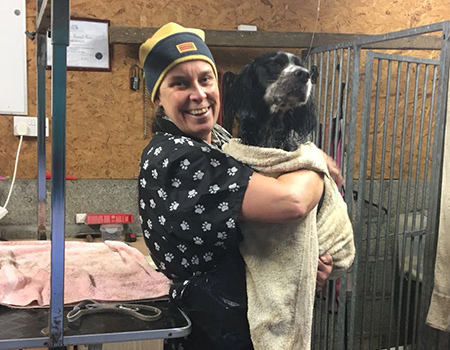 The kennel will be cleaned daily, any wet bedding will be replaced, and the kennel will be ready for your gundogs return. 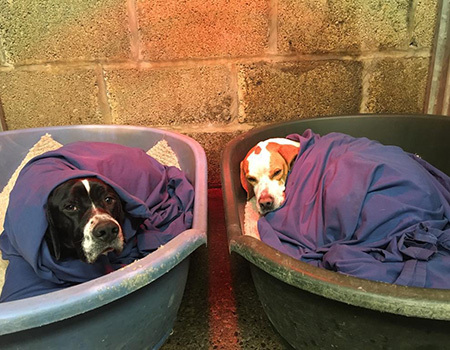 If your dogs are taking a rest day, I will be looking after them during the day, attending to their every need and requirement. 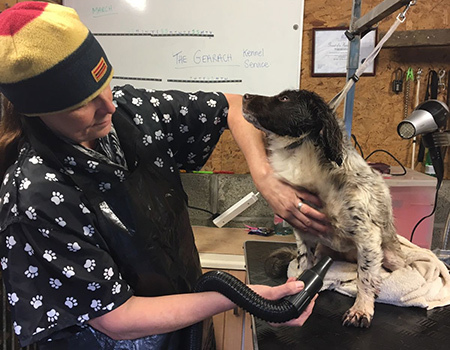 Should, for any reason, your gundog require veterinary treatment, I can telephone on your behalf and arrange for your gundog to be seen at the surgery or at the kennels. 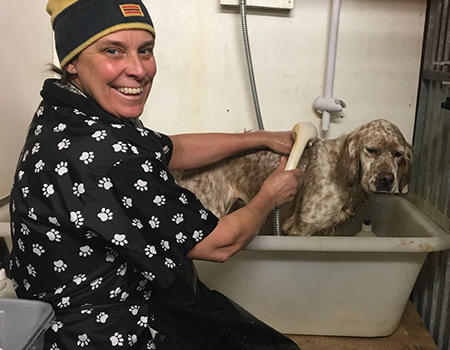 Many of our clients use my dog grooming facility: By bathing, drying and grooming it ensures that after an extremely hard weeks hunting, the dogs coat and skin are free from mud, twigs, tight knots etc. These cause the dog discomfort, especially whilst undertaking the long journey in their travel crate, to the passport controls and home country. It is also a way of saying ‘Thank you’ to your dog for all its hard work. 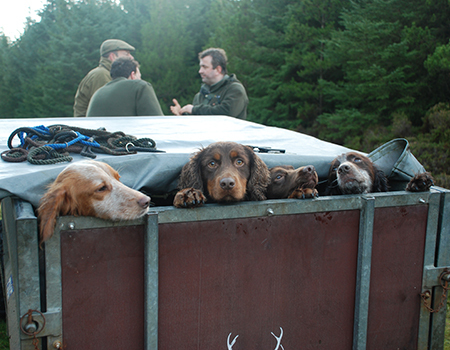 The Gearach Woodcock Hunting Team look forward to welcoming you and your Gundogs!